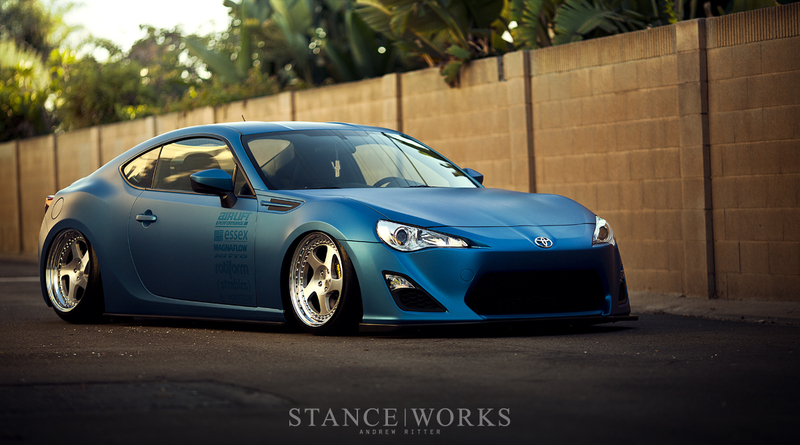 There's no question that the Scion FR-S is SEMA's go-to car for 2012. Each year, the latest and hottest car seems to set the stage for builders and manufacturers to showcase their best. But, with several-dozen FR-Ss present at the show this year, it takes a bit of unique thinking to build a stand-out car. Our friends at Rotiform teamed up with Air Lift, Magnaflow, Nitto, Vortech, and a slew of other sponsors to build what we think is one of the top FR-Ss of SEMA. With the all-new chassis being so popular this year, there's some serious competition to build a unique FR-S. Evasive motorsports unveiled their jaw-dropping widebody car along-side the unique widebody creation by Jon Sibal. 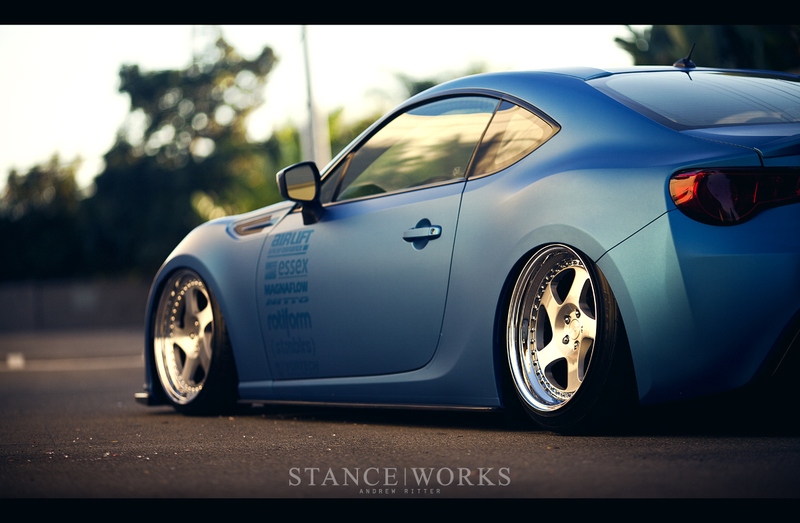 Half-a-dozen others went with the outstanding Rocket Bunny body kit to give the FR-S some added width and "oomph." Rotiform, on the other hand, decided to take the road less travelled; while many opted for the obvious JDM styling route, Rotiform wanted to give the car a bit of "euro" flair. The most obvious modification to the car is a first-of-many-to-come Air Lift bag setup. Designed specifically for the Scion FR-S (and Subaru BRZ), the kit is easily the best air option for the car on the market, setting the car 's carbon splitter just millimeters from the ground. 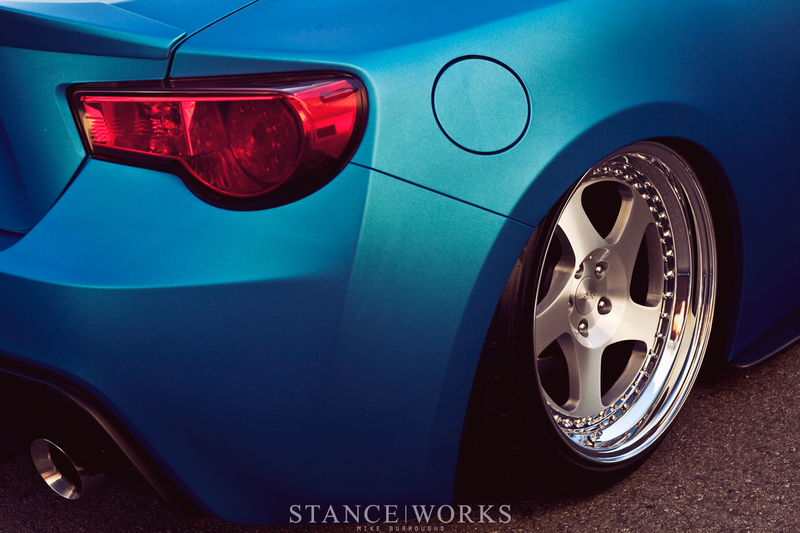 In pairing with the flawless drop height, performance has been a constant thought in the design process at Air Lift as well. 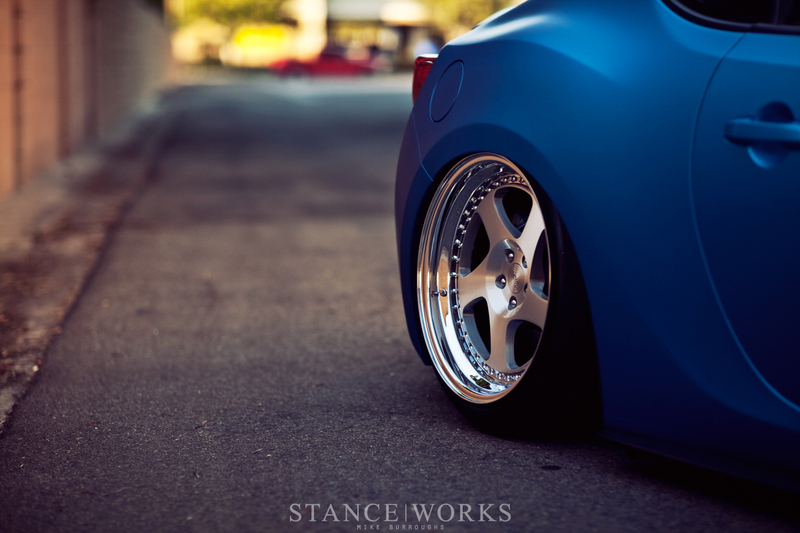 Air Lift knows these cars are meant to be driven, so valving and ride height pressures are prime for carving corners. Of course, in true Rotiform fashion, the wheel fitment is on-point, and a set of 18x9.5 and 18x10.5 TMB splits suit the car perfectly. A set of Nitto tires gives the car some stick, and it's much needed. 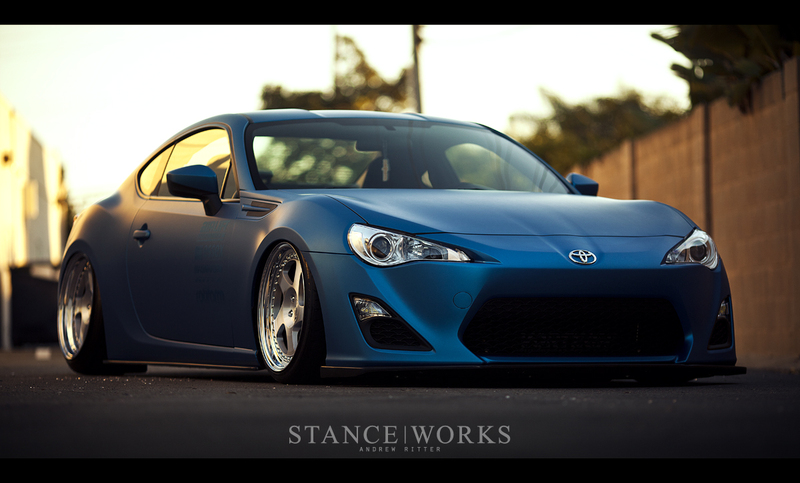 Thanks to Vortech Superchargers, the Rotiform FR-S has been fitted with one of the first-ever FR-S kits. A stout 300 ponies now gets the rear tires spinning as many FR-S fans have been begging for. 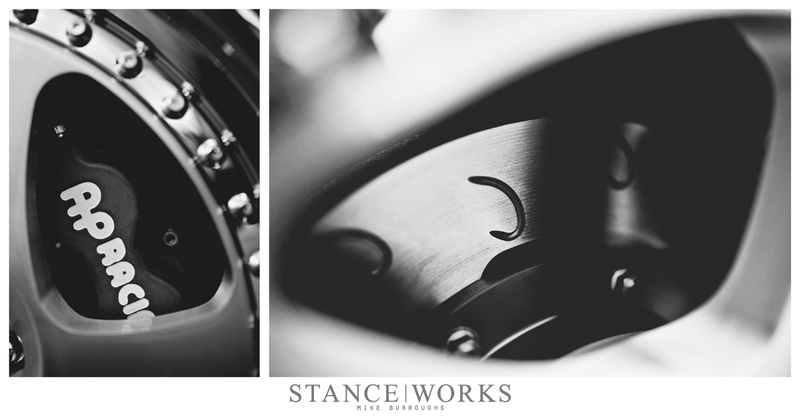 To stop the car once it gets going, a massive yet beautiful set of AP Racing brakes bring the car to a halt in a serious hurry. While impressive by any standard, such a car wouldn't turn as many heads without an eye-catching color to assist with the ride height and wheel/tire package, so the guys at Rotiform opted for a color change. Thanks to a 3M vinyl wrap, the car is now a gorgeous matte metallic blue. The spectacular curves and body lines of the modern classic are outlined better than ever before, and it's easy to see why this car has garnered so much praise for its styling. 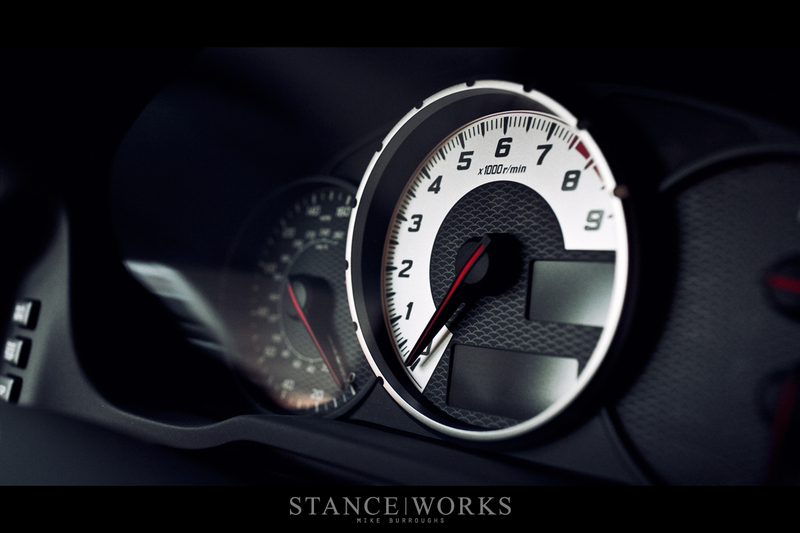 Inside the FR-S, a Momo steering wheel and shift knob provide of an addition to the driving experience, but they're overshadowed by the unbelievably intense yet awesome Pro Drive STI Recaros, fitting due to the Subaru-ish nature of the car.. The blue, red, and magenta confetti patern livens up the interior to bring it up to par with the exterior aesthetics. 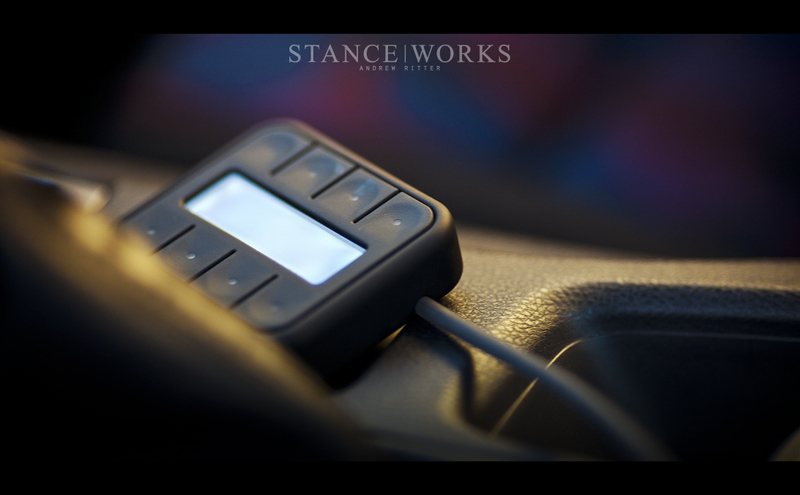 Lastly, the Air Lift V2 Management controller rests on the center console for controlling the suspension; however, Air Lift offers more than one way to raise and lower the car. The Rotiform FR-S is posted up in the Air Lift SEMA booth for all to see and admire (booth 23233 for attendees, come see it in person! ), and Air Lift is showcasing their latest in-house project. 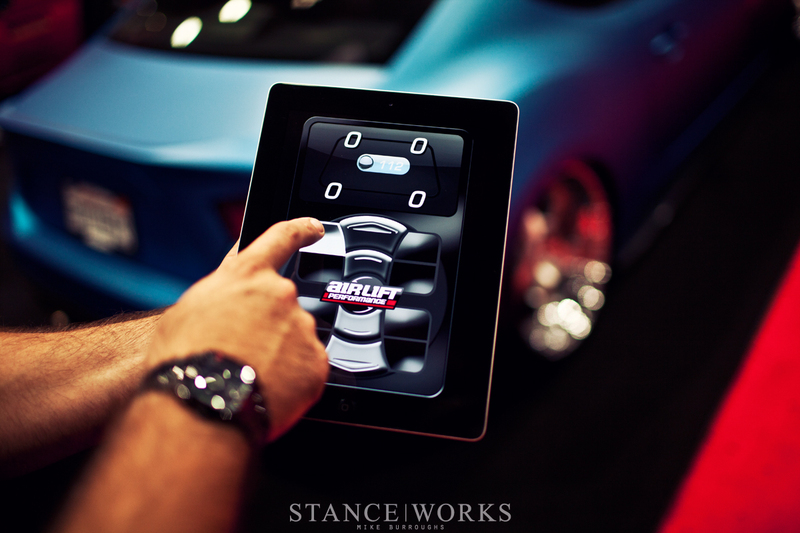 Air Lift has unveiled their software which gives the ability to control and operate your air suspension from your iPhone, iPad, and Android smartphone... and it'll be available to the public very soon. The smartphone app offeres all of the control Air Lift customers are familiar with, ranging from presets to individual corner control, and offers a range of adjustable settings, diagnostics, troubleshooting, and calibration. 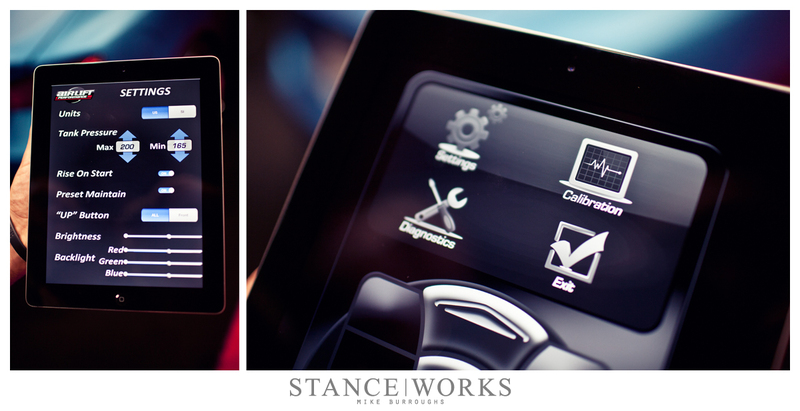 The control module is easily installed and the function works just as quickly as its hard-wired counterpart. Our test session left us smiling with anticipation of getting our own hands on a setup. 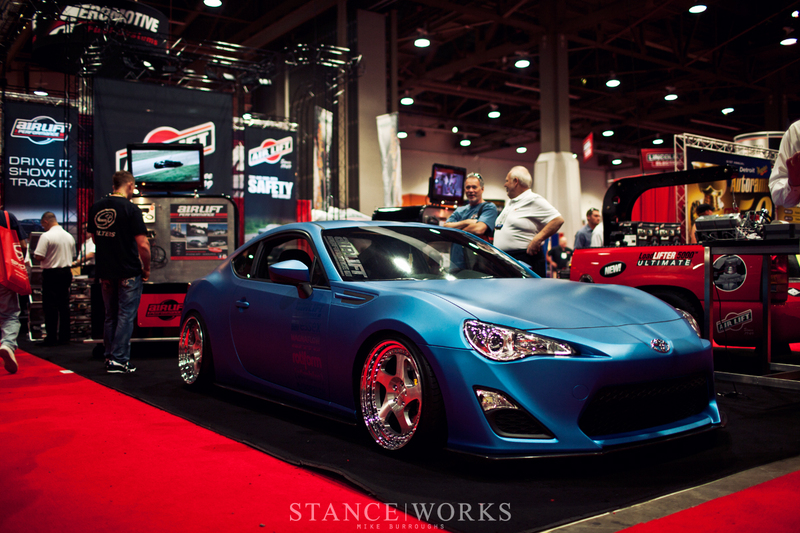 It's exciting to see so many different takes and styles of the FR-S at SEMA, and this particular one is no exception. Rotiform, Air Lift, and the rest of the gang have come together to build a spectacular car and to showcase some of the finest parts available. 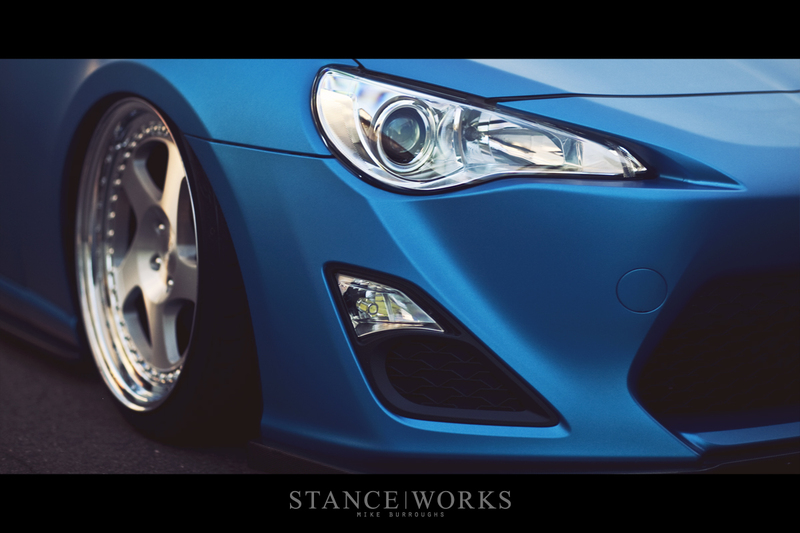 It'a great to see the vendors that support StanceWorks come together to build a car that embodies and shares the stance community's style and passion with the world as they debut yet another beautiful car at SEMA. This is a great article.This is related with plumbing.I like this article.This is an amazing.The written skill is so good.I appreciate to this well informative post.Thanks to share this blog.Keep it up. great asphalt 8 hack. it is the best asphalt 8 hack available on the internet. it’s easy to use, and will make playing asphalt 8 very simple! What body kit is on this?? I have read many other articles about the same topic, but your article convinced me! I hope you continue to have high quality articles like this to share with veryone! Good luck!